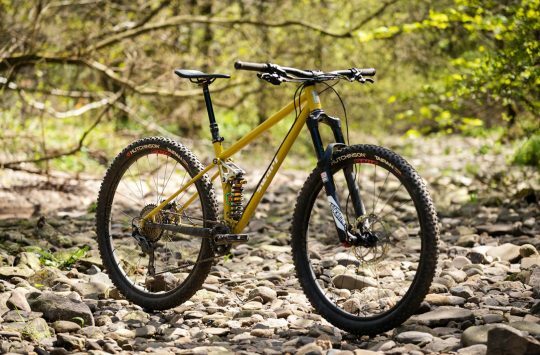 Dorchester based Swarf Cycles first started turning heads last year at Bespoke 2014, the UK Hand Made Bicycle Show, where main man Adrian Bedford won the ‘best newcomer’ award for his full-suspension steel and carbon masterpiece, the Curve. 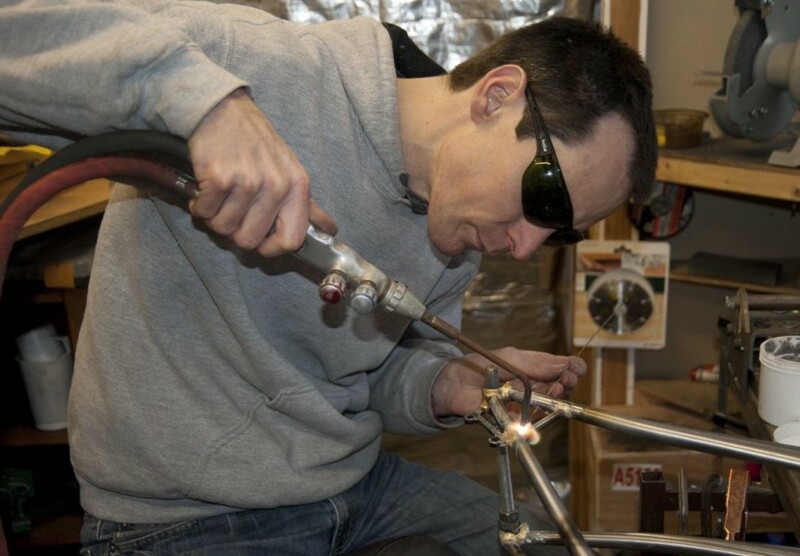 Alongside the Curve, Adrian has made a few fully custom hardtails with the Swarf Spline name. 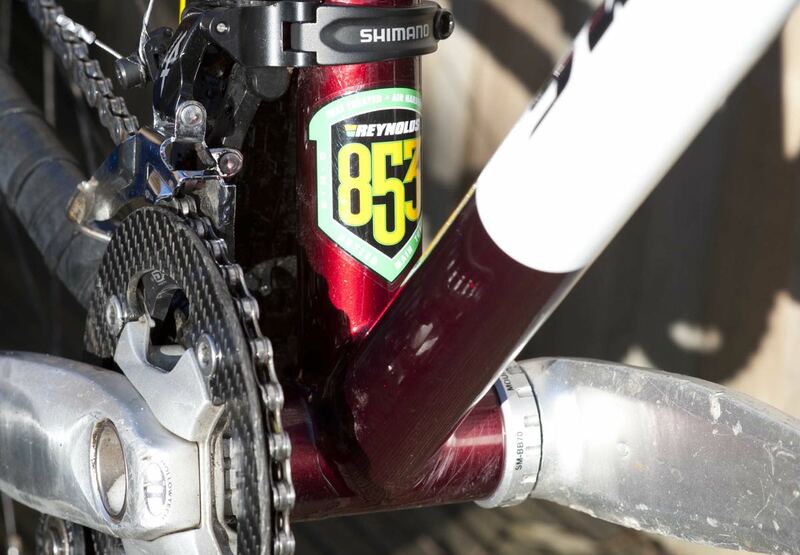 He’s now offering a hardtail 29er, the Spline 29 – which doesn’t really need any explanation! But the key difference is in the sizing. 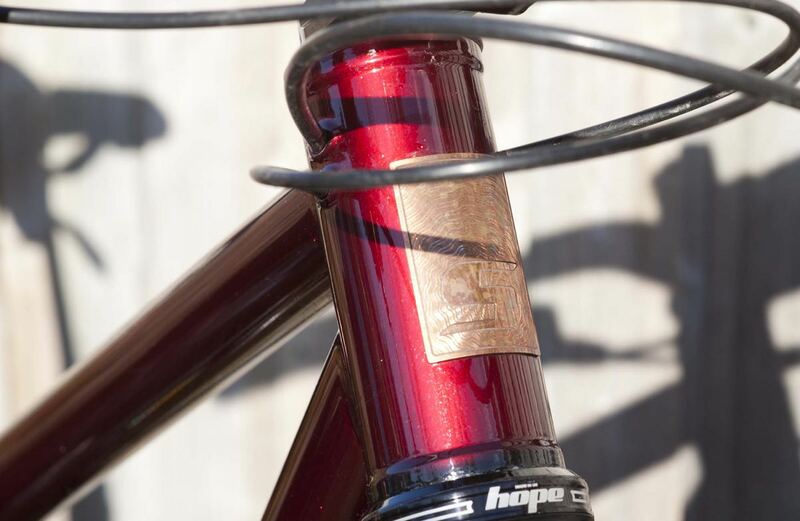 Adrian explains: “The idea for the Spline originally was a frame using a standard tubeset but with full custom geometry. I have made a few now, and they all ended up with incredibly similar geometries. 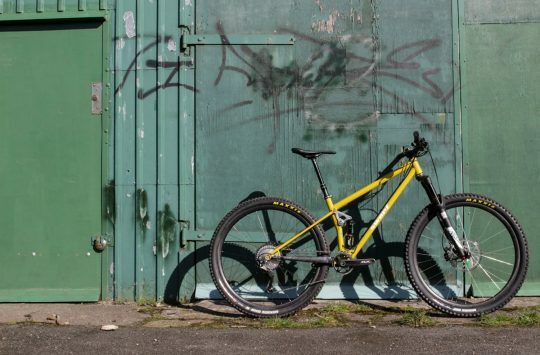 Essentially, it’s a modern, long and low trail 29er, designed to be ridden on technical trails, for short blasts or on longer all-day rides. 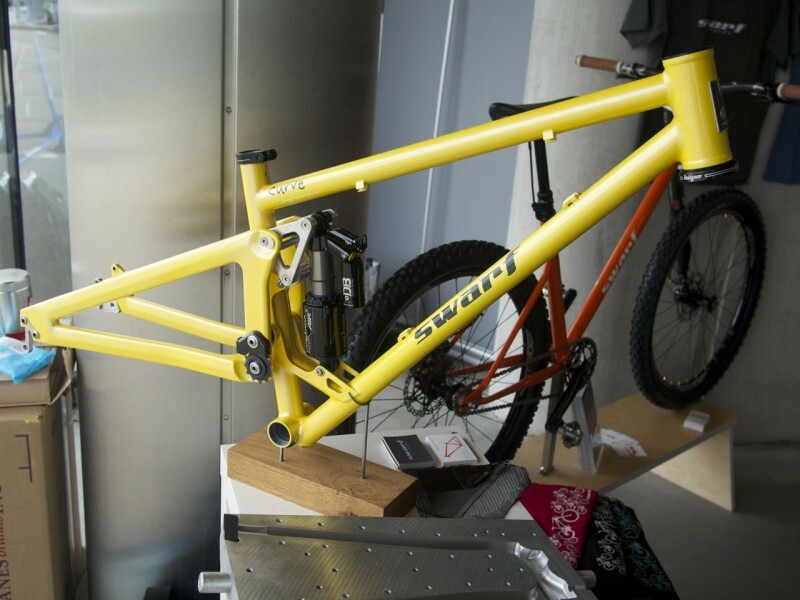 Swarf is offering 3 set sizes (S M and L) with an option to alter certain aspects if required (seat tube length, toptube length, head angle etc), with certain dimensions fixed – seat angle, BB height and chainstay length. 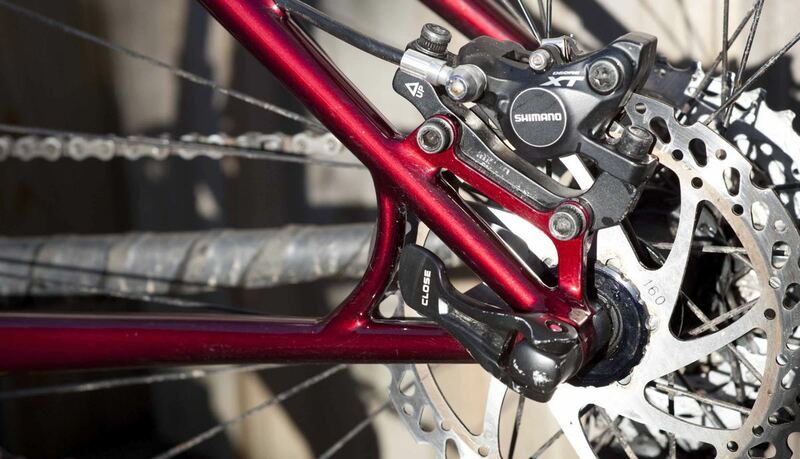 He’s also offering the same fixed sizes (with an option to modify) on the its smaller-wheeled brethren too. 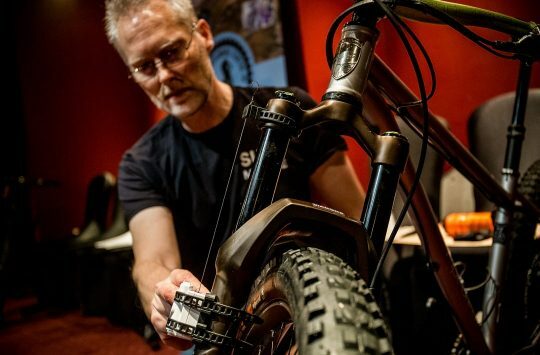 The bikes are all dropper-post compatible, and will come with a QR or 142×12 back end. And standing firm behind the Spline, the Curve (which rides on 26in or 27.5in wheels) is still there, stalwart in the background. It’s a striking looking thing, with that elegantly sculpted rear triangle, the steel front end and the distinctive pivot point and idler gear. But while Adrian’s made a few, he’s been keeping production fairly low-key. 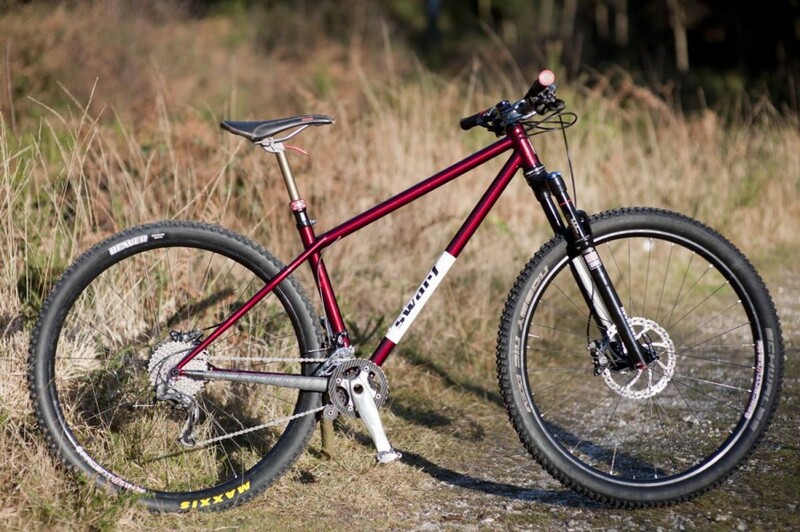 It’s a bold move, offering a UK hand-made hardtail frame with options like this, and it’s one we hope pays off. We’re getting a Spline in to test in the next few weeks, so keep your eyes peeled! Prices start at £820. For more details click here.